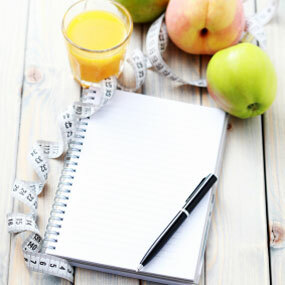 If you are having trouble losing weight, you should learn how to keep a food diary. Much of the time, we really have no idea what we are eating which makes it hard to commit to our health. We think we know but upon further investigation, the reality can be very different. 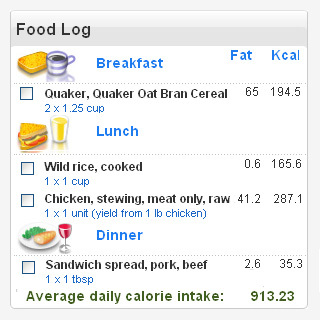 When you “keep a food diary”, you can better assess how and why you eat. Of course we all eat to stay alive but weight problems happen because we eat for a multitude of reason. That is exactly what you need to find out and you can keep a food diary to find out about your trouble areas. In fact, there have been many studies where people who wrote down all their food and drink for a period of time, lost twice as much weight as people who did not. Accountability means that you will be more aware of what you are actually eating every day. You will have to write down everything you eat and the act of writing it, makes you see clearly what you are really doing. It will force you to see the truth instead of pretending that you are not eating those foods. How would you feel if you looked at your food diary and realized that the lunches you ate over the last week were over 1,000 each? Yikes! Well, if that happens, you would immediate see that lunches are a problem for you and that is a meal you need to change to a healthier choice. Maybe you look at your food record and find that your evenings are full of snacking on 500 calorie high-sugar treats! Oh no! That would be a real eye opener for you. Now you would be aware of another trouble area in your life. You can then work to improve it. When you learn how to keep a food diary and make it a habit, you’ll find out important things about your eating habits. That is exactly why it works. You may be surprised at what you really eat every day. You must be willing to make a change in order to lose weight. As you go forward, you’ll find the food you write down in your food diary will be healthier and healthier. You’ll be able to track your progress over time. You can use a simple memo pad, agenda book, or online tracker. Whatever you choose for your food diary, just make sure you write in it every day and be consistent. That is the only way you can understand what you are really eating in order to make the correction. Now that you know how to keep a food diary, when will you start?